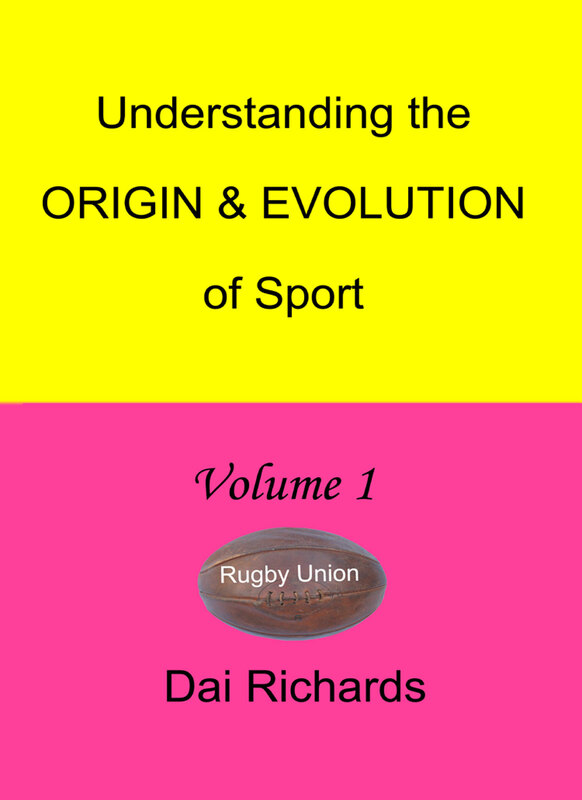 "UNDERSTANDING THE ORIGIN & EVOLUTION OF SPORT"
When Richie McCaw raised aloft the William Webb Ellis trophy after the 2015 Rugby World Cup final, few people would have thought about the schoolboy after whom the trophy was named. 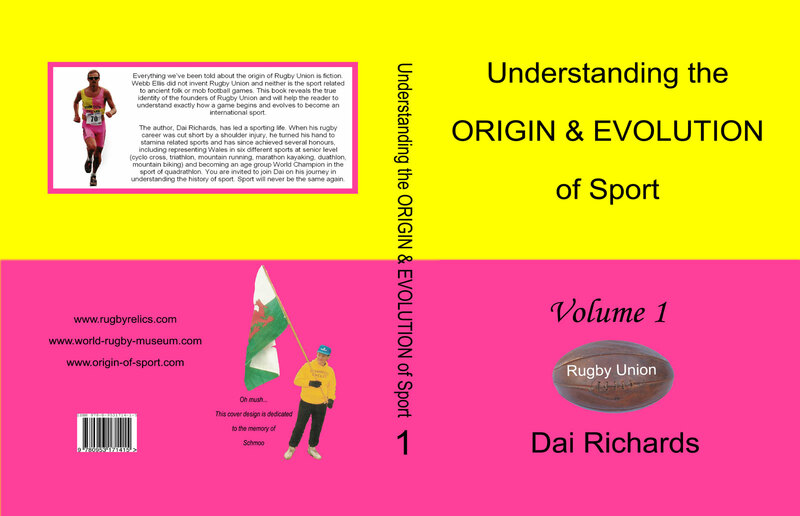 In this publication, sport historian Dai Richards explores the origin of Rugby Union and closely examines how sports evolve. He contends that the 1897 report by the Old Rugbeian Society that named Webb Ellis as the founder of rugby football was incorrect in its conclusion and that the origin of the sport has been misrepresented throughout written history. 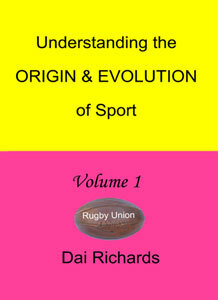 The book contains new information about the report and through thorough research and analysis, the origin of Rugby Union is instead placed with the boys of Rugby School in the late 18th century (circa 1780). 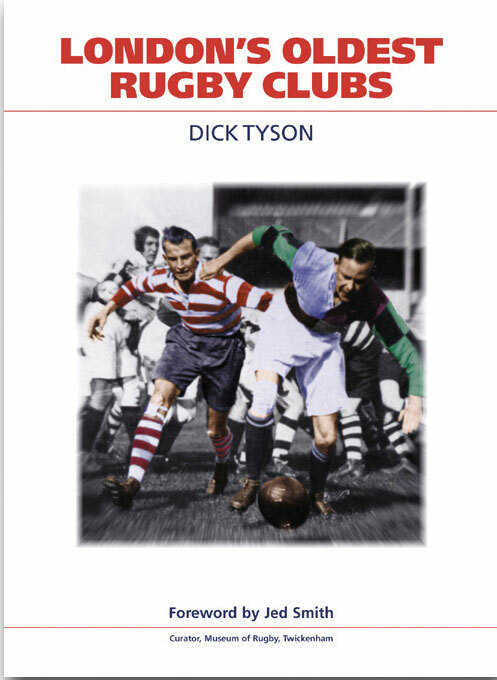 Published in a limited signed edition, this book is a fascinating read for anyone interested in the history of Rugby Union or the development of sport in general. "Dai - Congratulations! Your book is very well researched and argued. I'm sure you're right about where at least the outline of our wonderful 'kicking the ball over the bar' game originated (see - I didn't say 'football'! ), prior to its arrival and subsequent development at Rugby School. And if I ever get to produce a second edition of London's Oldest Rugby Clubs I'll be sure to update the In The Beginning section to reflect your findings and conclusion." Please note that the shopping cart on this website does not recognise your location. If ordering this book only please use the correct location guide below to order it. The correct postage has been added to the cost of the book so that when you reach the checkout you are charged the correct amount for the book plus postage for your location. For a special 'dedication' by the author to a gift recipient please buy the book first and send us an email as soon as possible after purchase with your 'dedication' information. The above link is to Amazon . co . uk, fingers crossed it will work for other countries, if not please let us know by email. 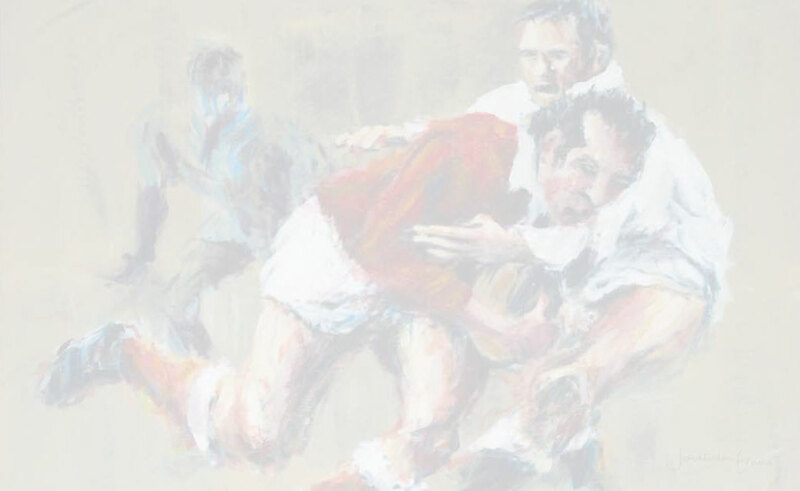 "As a reference book, it is invaluable as it pulls together essential information on the early days of rugby into one readable source." All sources of reference used in the book have a link to a webpage where they can be viewed on-line. WHY - PINK AND YELLOW ? - The cover design is dedicated to the memory of the author's former sponsor, Maurice Levenson, aka Schmoo. "It's a really interesting book and certainly gives a different viewpoint and something to think about. It has pride of place on my bookshelves"